Oh how soft the silk is! I’ve been knitting alot with lopi (Icelandic wool) lately so I decided to try something else. 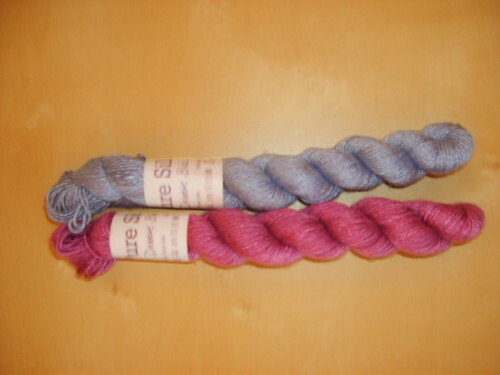 I bought 2 wonderful skeins of Debbi Bliss Pure Silk and my oh my… they are sooo soft! From these wonderful skeins I’m going to knit baby hats, the devil/helmet types. Posted in yarngasm and tagged silk, yarn. Bookmark the permalink.